Hello friends, here is another great diwali offer by TRUE BALANCE and it is really an awesome deal for you all. If you haven't used this app then this is the great time to avail full benefit by taking diwali's super offer. Upon installation you'll be getting free rs 20 wallet balance + rs 10 emergency loan, it means total rs 30 worth free recharge on sign up. Isn't loot? 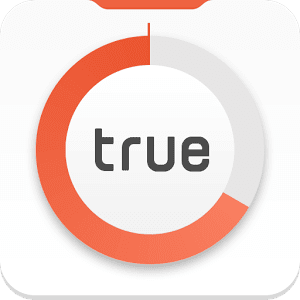 True Balance is one of the best application with awesome mobile balance and data tracking system. Within app you can see live data of your mobile balance and data usage. Hassle Free All-Balance-Check App with awesome Free Recharge features. True Balance gives you one touch solution to manage your prepaid mobile balances. Not only checking balances,but it also supports recharge;Invitefriends,earn points and buy new packs! As a Diwali Offer You'll Get Rs 30 On Sign Up. Hurry up !! Create a New Account in the app. Now go to Left side App menu Wallet Option . After sign up you will see Rs 20 in your wallet+ Rs 10 In your Emergency balance . Now You can use this amount for recharge instant. You can Do Rs 20 instant Recharge + Rs 10 emergency Recharge when your True balance wallet is below rs30. Guys ! you have many friends then you also enjoy this offer. 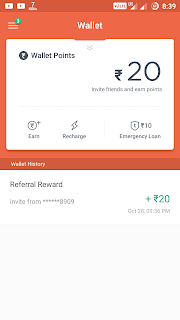 you can refer true balance your friends and after every successful install and account creation you will get Rs 20 extra per friends.So why waiting go use this app and refer your friend to earn more recharges. This offer is working PAN INDIA*(except J&K, H.P, N.E & Assam) users. Rs 20+10 recharge only for fresh install. If you like this post like us on Facebook and share this post woth your friend. Thanks for reading this post.